As you chug along the ridgeline on the "toy train" amidst pine dotted Nilgiri Hills; clumps of fog wreathe the ridgeline, and the mountainsides are washed in muted greens and grays. Welcome to Ooty, the most loved hill station in South India. Nilgiri Mountain Railways is definitely the most fascinating way to arrive in Ooty but not the only one. 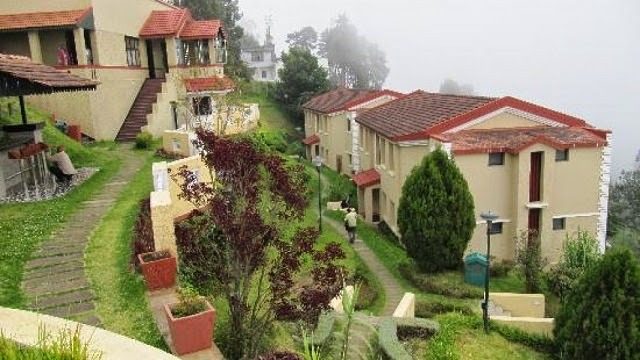 One of the most popular hill stations in India, Ooty is an all season travel destinations but ideal to escape from the scorching summer season of India. No wonder it also happens to be one of the top places to visit in India from the month of April till June. This popularity has also the bane of Ooty as the center of town is congested and chaotic. However, walk away from the heart outside, and you might mistakenly think that you are walking the English country lane. The English Men put special efforts in dotting this place with their signature charm and architecture. That is one reason why tourist from around the globe head to this charming hill station in India. 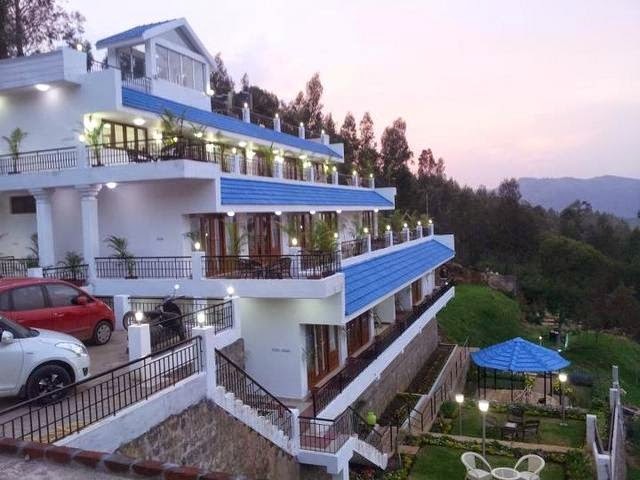 It is in this charming periphery that some of the best and most luxurious hotels in Ooty are located amidst sprawling green. 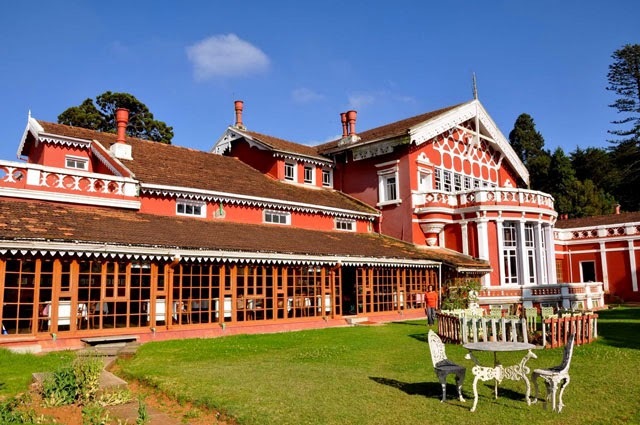 If it's Ooty you are traveling to this holiday season and if you are that descerning traveler who settles down for nothing but the best, we bring to you the list of top luxury hotels in Ooty. Read through to take your pick. Fernhills Royal Palace, the residence of the erstwhile Maharaja of Mysore, looks like a Swiss Chalet. A huge red bungalow, outlined with white pillars and bargeboards, and sparklingly green lawns. Fernhills Palace offers all the royal facilities that would make you believe that you are nothing less than a king. Let alone the exteriors, the grandeur inside the palace is hundred times more intensified. This hotel is an all-suite hotel; with lounge, bar and restaurant, fitness center, conference room, banquet hall, in-house shops and in-house salon. This is where, not just doctors or laundry service, but even your personal stylist/beautician is a phone call away. Taj group of hotels are known to leave a spotless mark on their guests, and Taj Savoy too does that effortlessly. Taj Savoy Hotel is spread over six acres of land, embellished with beautiful flowers. The cottages date back to 1835 and sprinkle British charm. You have a great choice of variety under standard rooms, superior garden facing rooms and suites. 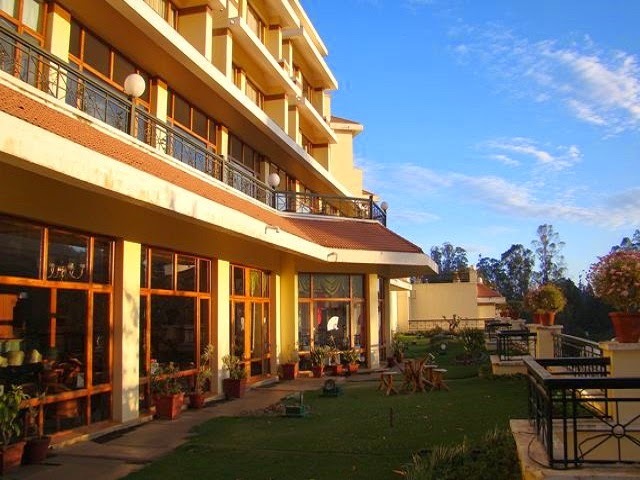 The hotel has a dining room, bar, lounge, conference hall, ayurvedic centre, fitness centre and numerous other things. It also organizes exclusive activities like Bhangra Dance, Bharatnayam/Mohiniyattam, painting class for ladies, DJ, ghazal, party games, magician, live band, yoga session, jungle safari, trekking, golfing and fishing. Also, you can opt for copier/fax, secretariat services, safe deposit locker (free), car, doctor on call, laundry etc. Fortune hotel Sullivan Court is designed in such a way that it reflects warmth and soothe. Surrounded with lush green and peaceful ambience, this hotel is a retreat for you, if the blaring horns of the highway have choked your minds. Sit back and behold the enormous Nilgiri hills and feel its magic healing. This hotel is equipped with all the modern day facilities. The hotel has a bar, gymnasium, restaurant and three conference halls. There are 67 rooms with a choice in standard (49), fortune club rooms (14) and suites (4). All the rooms are tastefully designed and offer breathtaking view of the valley. And as you sip in the morning tea, you realize that the sunset view is hail worthy. 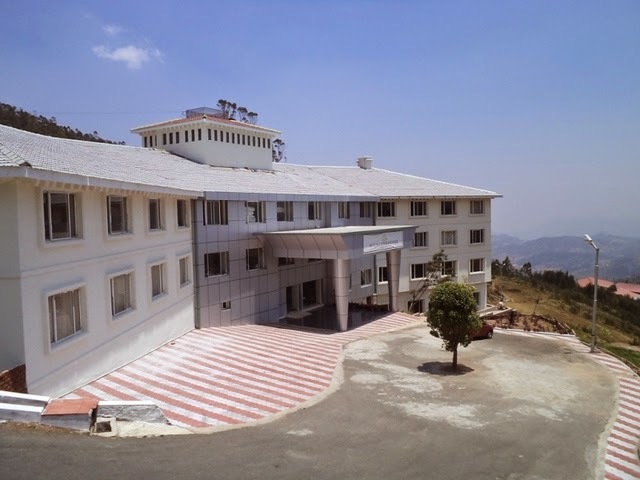 Mount and Mist hotel is affluent in terms of greenery, heart-warming services and up-to-date facilities. There are five kinds of rooms in the hotel, namely; deluxe room, deluxe executive suite, twin deluxe suites, queen suite and king suite. There are some special facilities provided like Trekking, Jungle Safari, Bonfire, Barbecue, friendly pets for entertainment (and you can take along your own pet as well). The restaurant inside the hotel is named Forest Feast Restaurant and offers a wide choice in Continental/ Chinese and Indian Cuisine. The décor is elegant and soothing. Long stretch of lazy hills of Doddabetta Range, green and undisturbed, makes your stay in Highland Hotel worth your while. Off course, what add on to the relaxing experience are the services, facilities and décor of this hotel. Some exclusive facilities of this hotel are; airport transfer, barbecue grills, babysitting, banquet facilities, currency exchange, golf camps, boating, gift shop, news stand, health spa, safe deposit box, campfire area, internet, wake up calls, mini bar in every room and a lot others. The hotel is designed keeping in view the modern day elegance and simplicity. The three Banquet halls of the hotel give you a chance to celebrate your special day with your loved ones. These halls can accommodate 200 people with ease. It’s about time to spend your precious vacations in the lap of sheer perfection. Gem Park has inscribed its name in the list of “Best Luxury Hotels in Ooty”, with its unrivaled services and tasteful décor. There are three kinds of accommodation, deluxe, luxury and presidential suite. All the rooms have business centre, TV, valet services, turndown service, work desk with lamp, direct dial phone, pc, internet connection, hairdryer, coffee bar, mini bar, crib; and with higher price you get better and wider range of facilities. 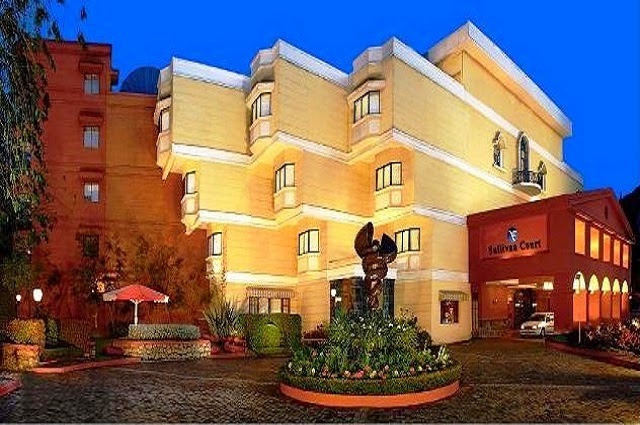 The restaurant has two restaurants, two bars, conference halls, banquet hall, spa, parlor, gymnasium, Kashmiri boutique, pastry shop, sports court, news stand etc. An epitome of grace and flawlessness, Hill Country Lovedale overlooks the beautiful Ketti Village. Accommodation comes with a choice in premium suite, deluxe suite and deluxe cottage; all the rooms are designed to provide comfort and pleasure. You can pamper yourself in the Ayurvedic Wellness centre and enjoy recreational activities in the Game Centre. This hotels highlight apart from comforting services and amazing décor is Sowkhya. Sokhya is the Ayurvedic centre and you get a good number of choice in the treatments; Therapeutic Rejuvenation Massage, Punarnavam (Herbal Facial), Therapeutic Skin Renewal Massage, Therapeutic Herbal Power Massage, Therapeutic Special Back Pain Massage and Sowkhya Mind n body energizing Therapy. Making your experience better, is the in house restaurant that offers authentic local cuisine and a lot more.